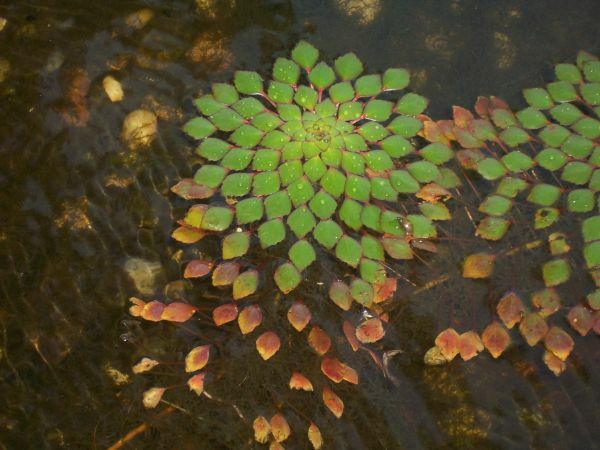 Once they’d built their pond, Edie and Rob Smith enjoyed relaxing outside watching the birds and animals so much, that they decided to stay in St. Louis instead of moving to Tucson as they’d originally planned. – Equipment: Aquascape pond system with filtration, skimmer and biofalls; 7,500 gph pump. 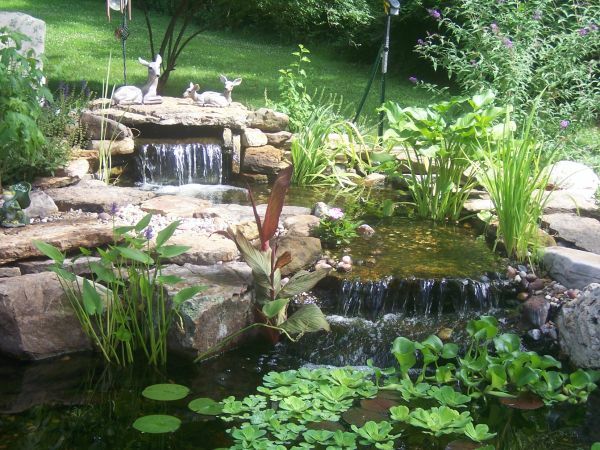 The main pond is fed by lovely waterfalls at both ends, as well as a stream which runs along the back. Visitors quickly realize they love all living things. Bird feeders abound. Stories of deer living nearby pop up early in conversations. 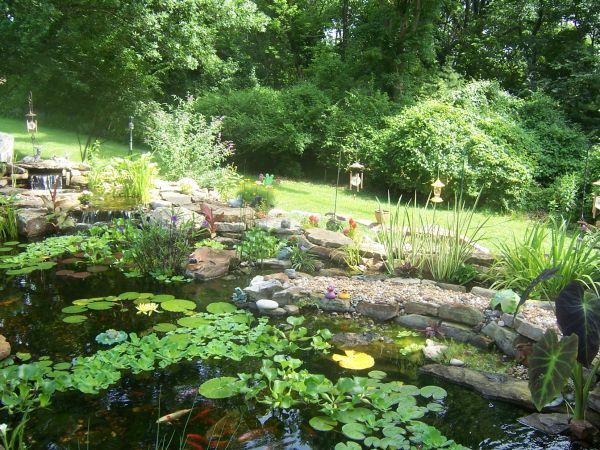 The butterfly and regular koi as well as the numerous goldfish and a few fantails living in the main pond are all named. 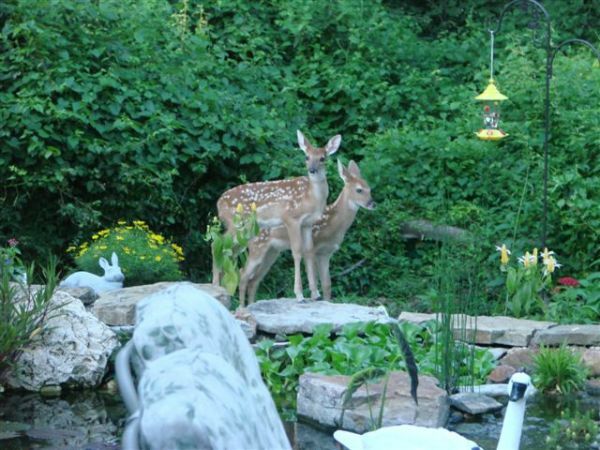 There are photos of toads and turtles who came to check out the pond, as well as the resident deer and these fawns. Or perhaps it’s animals in general. 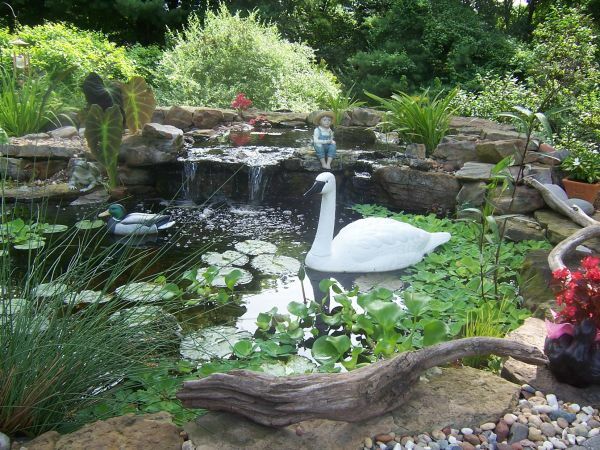 Frog ornaments are tucked into corners and life-like swans and mallards adorn the pond. 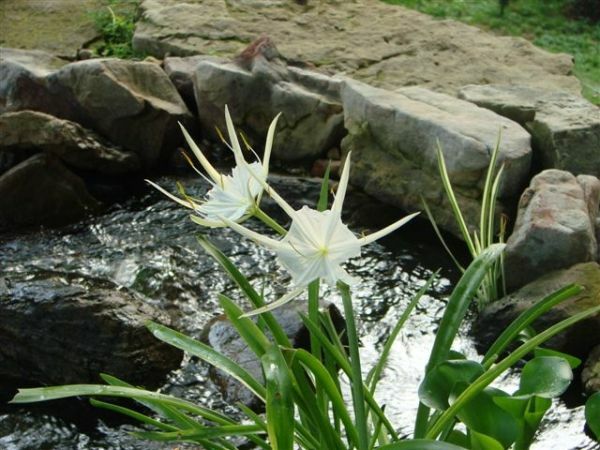 as well as this unusual Spider lily. Hope they continue to stay in St. Louis a long time! Website Design by MobileNerd LLC. Copyright 2018.